Multiverse Modules are best suited for lighting equipment manufacturers who are interested in adding wireless DMX to their products. Due to low cost, increased data transport, and ease of design integration, the Multiverse Module marks the first time that the implementation of a wireless DMX chip in every DMX device is possible. 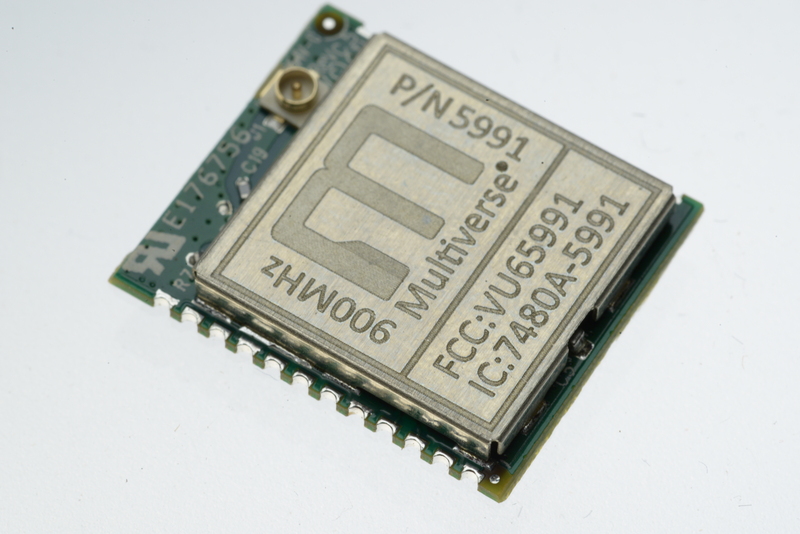 The Multiverse Module is available in two frequency ranges, 900MHz (for use in the Americas) and 2.4GHz (for use worldwide). Each frequency version can include a PCB trace antenna or not. All versions have a U.FL connector to connect to an external antenna. New Malden, KT3 4PH U.K.